Solitaire Games: Goodsol Newsletter #246 - Happy New Year! Goodsol Newsletter #246 - Happy New Year! - A big update to Pretty Good Solitaire for Windows is coming soon! Version 16 will be the biggest update to the Windows version of Pretty Good Solitaire in 10 years - new games and 2 new large card sizes for high resolution devices. With the release of Windows 10 making Windows back in the forefront of technology, I've been working more on the Windows version than in recent years. Look for version 16 coming soon in early 2016! - We will also have updates for some of our other Windows games in 2016, plus updates to the Mac and iPad versions. Look for those later in year. - More games will be coming to our online games site in 2016. Currently, you can play 100 solitaire games on our site at http://www.goodsol.com/play , including Klondike, Spider, and FreeCell, and many more. These games will work in any browser, including on Android devices for which we don't (and won't) have an app. 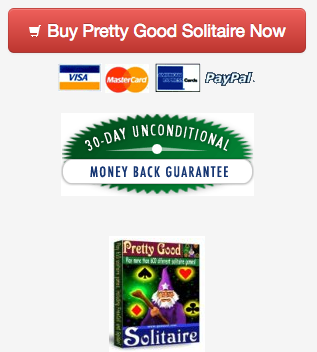 - Pretty Good Solitaire is on Facebook at http://www.facebook.com/goodsol . 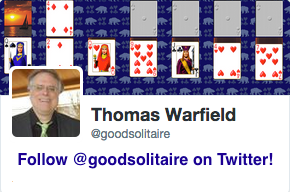 I'm on Twitter @goodsolitaire - at http://twitter.com/goodsolitaire - where I tweet not only about news of our games, but also about news stories about Windows 10, OS X, iOS, and game development. This game is at Duke.